I've been struggling for the past week with another bout of lack of sleep... to the point of not really being able to see straight, let alone follow a pattern or count things. lol. Yes, that tired. childrenpleasegtfts. When I'm exhausted... spinning is my go-to activity. It's repetitive, methodical, and best of all... NO counting or keeping track of anything. Just grab a handful of fiber and draft, flick, draft, flick, wind, repeat. It's soothing even to type it out. 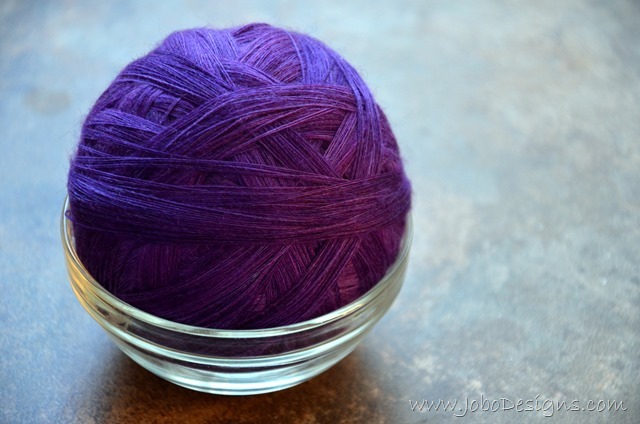 I'm hoping there will be enough yards of thread to make a really large stole or shawl. Ideally I'd like to make a big round something, or maybe a big rectangle wrap. With the gradient, it will be necessary to stick to a shape that will highlight the progression... but choosing the path will be part of the fun, as it always is. 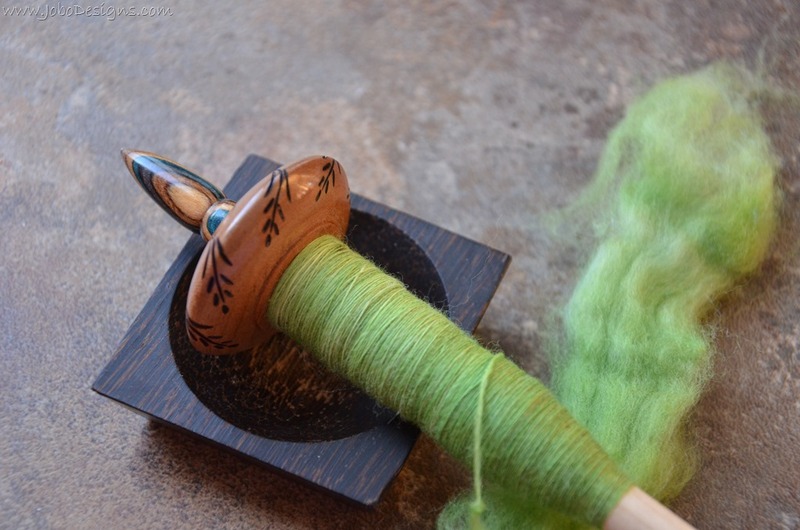 Here is the lime green portion getting a good start... the spindle is a Grizzly Mountain Arts Bead... and the bowl is a nice shallow wooden Thai dipping sauce bowl :) I am hoping to try and spin at least a few handfuls of fiber each day... even on the days I am really tired out. The spinning seems to help. Also - Chocolate and Coffee. Forever.